WebLVC Server and simple applications to observe, control, and participate in complex simulations. The MAK WebLVC Server connects web-based simulation federates to DIS/HLA federations using the WebLVC protocol. Engineers can setup and monitor simulations from their desks. Program managers can bring the simulation into staff meetings. Trainees can gain situational awareness while carrying out missions in the field. Instructors and observers can gain insight into live exercises on the range. Analysts can replay and study the results without going to the simulation lab. Business development teams can present operational capabilities and concepts at the customer’s site. Even if you work in a secure lab on a secure network, you can take advantage of web-based applications by hosting servers inside your firewall. We are hosting several demonstration scenarios on the WebLVC Testbed, right now, give them a try. Here you can learn all about WebLVC. Click through the red tabs below or download the WebLVC Server Capabilities document. MÄK has a vision! We see the entire Modeling and Simulation community working together to create interoperable web applications. The web is everywhere. People all over the world use applications in their browsers to shop, stream movies, or even produce important documents. But what about us Modeling & Simulation professionals who are busy in our labs, deep behind secure firewalls? We, too, can take advantage of this powerful web technology. Even if we can’t get to the wide world of the internet, we can take advantage of web technologies and use lightweight client applications made to run in our browsers. The M&S community can take control of our distributed online simulation exercises, get a view of what’s going on the in the Sim Lab, even participate with client-side entity simulations. At MÄK, we’re building on our twenty year pedigree of open standards and interoperability to bring Live, Virtual, and Constructive Simulation to the Web. We’ve launched a WebLVC initiative - and it’s big! We initiated WebLVC protocol standards activity within SISO, and have developed a WebLVC Server and a WebLVC Testbed. The web browser has undergone a long and steady evolution from its origins as a simple tool for viewing static content, to a powerful platform for application delivery and deployment. We use thin-client browser-based applications daily to check email, get driving directions, order plane tickets, manage our finances, and share pictures and status with friends. Web-based applications have a number of obvious benefits: They are lightweight, accessible anywhere, do not require the kind of administrator access that is often required for installing desktop software, and can be upgraded and maintained in a single, central location. They allow users and IT staff to leverage the power of virtualization and of the cloud computing paradigm. They are immediately compatible with a world of public, commercial, or government-owned data, content, and services. And they are cross-platform – capable of supporting desktop PCs, tablets running iOS, Android, or Windows, as well as smartphones. Despite the benefits, the M&S community has been relatively slow to adopt web technology. Most systems are built as thick-client desktop or native applications: IGs, plan view displays, ownship simulators and trainers, instructor / operator stations, and computer generated forces applications. There are several reasons for this, including security concerns, and the fact that some of the typical benefits of web technology are difficult to reap on closed networks or in classified environments. But one of the most important factors that has limited adoption is this: The technology and tools required to develop the kinds of high-performance applications required for M&S have not historically been available for the web platform – at least not in a standard, cross-platform way. 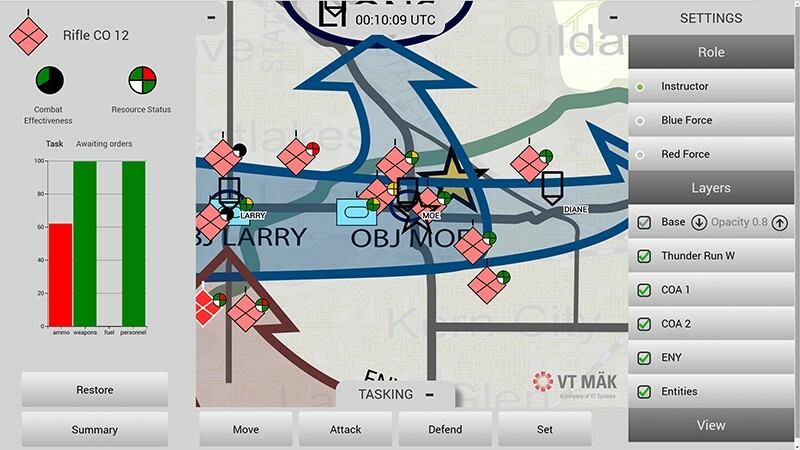 Figure 2: A web-based tactical map application built by VT MAK for the US Air Force’s AFMSTT Program. It is monitoring the locations of 1,000+ air units being simulated by the USAF’s AWSIM constructive simulation model. The thin-client paradigm allows programs to save on hardware costs. Lightweight, browser-based or mobile applications can run on cheaper devices, such as tablets, smartphones, and laptop and desktop PCs that are not powerful enough to run heavier, thick-client applications. When lightweight interfaces are decoupled from the more heavyweight back-end simulation engines, IT staff can take advantage of virtualization for the server side - more efficiently using hardware assets, and reducing the impact of hardware failures and downtime during upgrades. With web-based applications, there is nothing to install or upgrade on each client system. A user just points his browser to a URL hosted by a centralized server, and automatically can access the most current version of the software. Finally, and perhaps most importantly, web-based and mobile apps for exercise control, monitoring, and role playing are typically simpler and easier to use, allowing programs to reduce the number of support staff required to manage an exercise, or to reduce the technical qualifications required for such support staff. The web-based model significantly shortens the iteration cycle between user feedback, development to address that feedback, and testing of the resulting improvement or fix. A developer can make a fix (no compile step), and immediately ask the user to “hit refresh” on his browser, at which point he will see the result in real-time. This allows contractors to develop more targeted applications and interfaces, at lower costs, and on shorter schedules. In addition, the cross-platform nature of web technology means developers spend less time and money than maintaining separate versions of software assets for Windows, Linux, iOS, Android, etc. Web and mobile technology allow program managers, developers, and instructors to think differently about workflow and the interaction between the trainees and support staff. With a tablet-based instructor app, an instructor can walk freely among trainee stations, and affect the running scenario while standing over a trainee’s shoulder. Through a simple touch-screen interface, he might inject faults into the scenario, change the weather, or perform tasking of CGF entities that are interacting with the trainee without having to involve a role player. For certain kinds of tactical trainers, a trainee might be able to act as his own “role player”. He can use a simple tablet-based interface to task the units under his command, rather than verbally issuing instructions to a more technical member of the exercise support team. An instructor or other training support person might use his iPad, smartphone, or browser running on any PC in the room, to control the vantage point of the Stealth viewer or situation awareness display on the big screen at the front of the room. For certain kinds of training, it might be possible to allow instructors or role players to remain at their home stations, and participate in training exercises remotely through browser-based interfaces – significantly reducing travel costs and other logistics. The simulation engines themselves (SAF and trainee stations) can be located at the training facility. For other training systems (e.g. leadership trainers, stand-alone training games), it might be possible for trainees to train remotely by connecting their browsers to applications and content hosted at the training facility. Taken one-step further, web and mobile technology can enable secure, cloud-based training and simulation-as-a-service possibilities. With a cloud-based system, a program can achieve true scalability, with new instances of SAFs and other required servers being launched on demand as users log in and initiate or join persistent, online training scenarios. 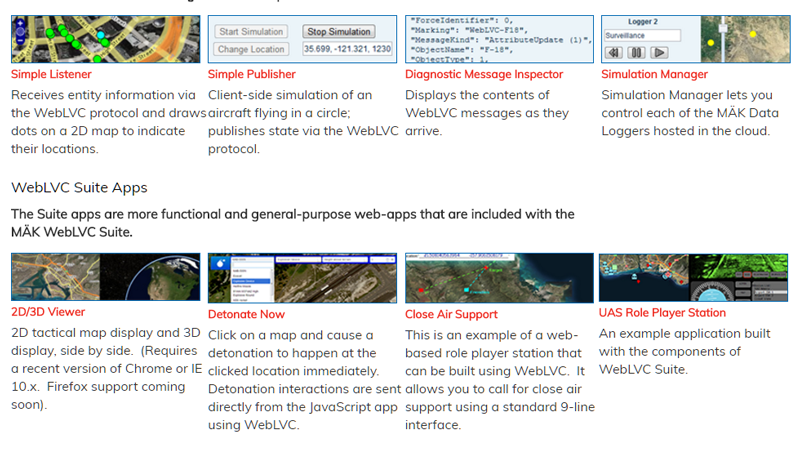 WebLVC is an architecture for developing and deploying interoperable web and mobile applications in simulation environments, and for connecting these applications with existing, native modeling and simulation federations (which may use HLA, DIS, or other native interoperability protocols). VT MAK has led the WebLVC initiative since its inception in 2012: We have chaired the WebLVC Study Group at SISO, developed COTS products to support the emerging WebLVC Standard, and hosted a WebLVC Testbed online – a persistent web-accessible simulation environment hosted in the cloud. Figure 3 depicts the key elements of the WebLVC architecture: An application called a WebLVC Server sits between the native federation and the browser-based applications. Web and mobile applications communicate with the WebLVC Server using the WebLVC Protocol - a web-friendly format for representing and conveying simulation data. The WebLVC Server participates in the native federation on behalf of one or more web applications – using whatever M&S interoperability protocol is required by the federation. If the native federation uses HLA, the WebLVC Server must connect to the federation through the RTI as any other federate would, and must translate between the WebLVC protocol and the federation’s chosen FOM. If the native federation uses DIS, the WebLVC Server must send and receive DIS PDUs on the appropriate port and address, and must translate between WebLVC messages and DIS PDUs. WebLVC clients are insulated from the details of the protocol being used on the “native” side of the gateway, and can participate in any federation whose language the gateway can speak. SISO’s WebLVC Study Group ran from September, 2012 through September, 2013, and was chaired by Len Granowetter – VT MAK’s Vice President of Products and Solutions. The WebLVC Study Group had over 100 members from throughout the M&S community. At the Fall 2013 Simulation Interoperability Workshop, the group voted to develop a formal SISO Standard based on the WebLVC concept and protocol proposed. A SISO Product Development Group was launched in 2014 to develop this Standard. - The US Air Force AFMSTT (Air Force Modeling and Simulation Training Toolkit) Program has adopted MAK’s WebLVC products to support their requirement for thin-client interfaces to the AWSIM constructive simulation engine. - The NATO ICoViCS program used WebLVC to build a browser-based GUI that can control multiple SAFs at run-time. - AGI (Analytical Graphics) worked with MAK to integrate WebLVC with their web-based virtual globe engine, Cesium, and hosts a persistent demonstration on their website. - A Boeing commercial aviation group is using WebLVC to build web-based monitoring and analysis tools for their HLA federation. - VT MAK has integrated WebLVC with various client-side mapping and rendering engines, including Google Earth, Bing Maps, ArcGIS, and OpenLayers. We have demonstrated interoperability with various DIS- and HLA-compliant simulation engines, including OneSAF and MAK’s VR-Forces. 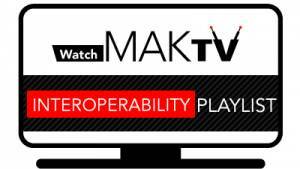 MAK’s WebLVC Server enables web and mobile applications to send and receive information about objects and events in a simulation scenario. But a second server is required to provide terrain and map content to these thin-client apps, so that they can run without having to install data on each client system in advance. A streaming terrain server, such as MAK’s VR-TheWorld Server, can be deployed inside firewalls for local access within a closed network, and can be easily configured with program-specific data using a browser-based interface. It can then serve maps, imagery, elevation data, and feature data to a variety of client applications using open geospatial standards such as the Open Geospatial Consortium’s Web Mapping Service (WMS) and Web Feature Service (WFS) protocols. 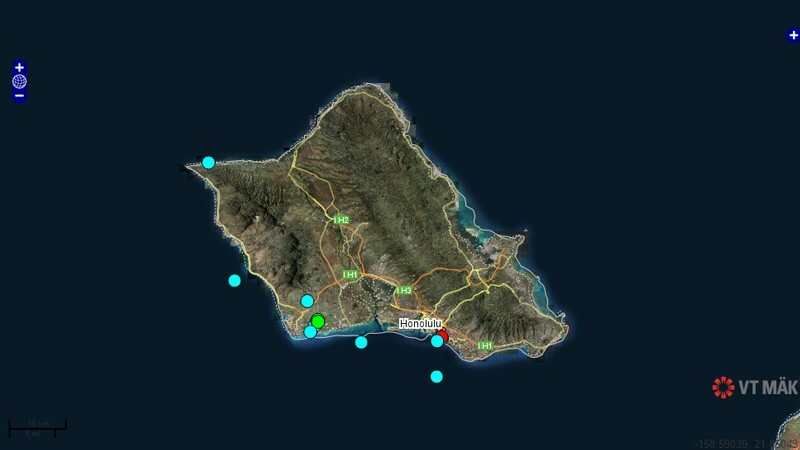 Figure 4: MAK’s WebLVC Server provides real-time updates of simulated entities and events, while VR-TheWorld Server provides maps, terrain elevation data, imagery, and features through standard web-based protocols. VT MAK’s web and mobile client applications typically stream in their terrain data from VR-TheWorld Server. But VR-TheWorld Server supports native simulation and visualization applications as well. By supporting the same open standards as the web applications, native SAFs, IGs, and other simulation assets can receive the same up-to-date centrally-managed data - ensuring full correlation. A final element of some web and mobile modeling and simulation applications is streaming video. By ingesting real-time video from a native IG through standard streaming protocols, a web-based client can include a high-quality UAV, sensor, or camera feed without the overhead and high-performance hardware required for client-side rendering. Figure 5 depicts the role of a streaming-video-capable server-side IG, in supporting web applications that require a real-time sensor feed. VT MAK’s VR-Vantage IG and its SensorFX sensor visualization plug-in, provide built-in support for publishing real-time video streams through a variety of industry standards. Figure 5: A thin-client web application can ingest live video from a native image generator, using standard streaming video protocols such as MPEG4 and H.264. MAK WebLVC Server includes three kinds of apps to help you be successful using and building innovative interfaces to your complex simulation systems. The Training System Demonstrator is a set of higher-level out-of-the-box applications that provide a broad capability that can be configured for use in your scenarios. 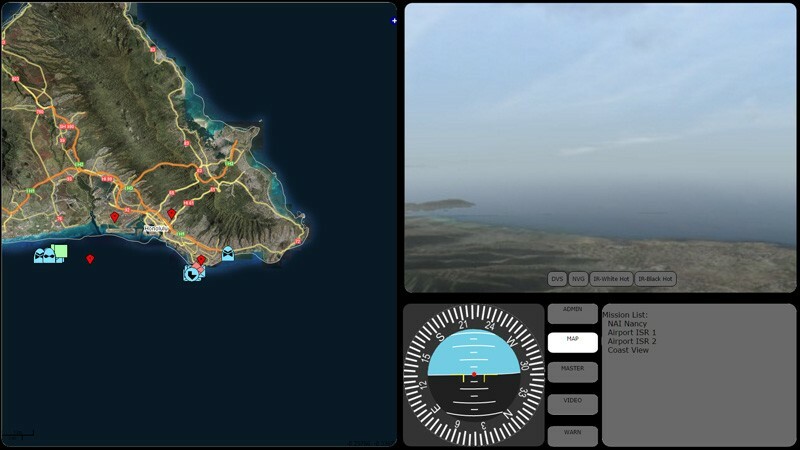 The Commander lets you task entities on a 2D symbolic map display; the Instructor lets you inject faults into the running simulation scenario; the Viewer presents streams of 3D scene imagery on your browser; the Controller lets you fly the eyepoint around; and the Presenter lets you set up saved views to replay presentations. We’re hosting these applications online so you can experience them right now. Commander – The Commander app displays simulation entities as 2D icons on a map. Users can touch the entities to inspect the state of the entities or to give them new simulation tasks. This clean and simple interface provides a powerful capability in the hands of anyone with a web browser on a desktop or mobile tablet. Instructor – The Instructor app is a simple interface that allows the instructor to inject faults into the scenario and to change the environmental conditions and time of day in the simulation. In the online Training System Demonstrator, you can play, pause, and rewind the VR-Forces simulation that is hosted in our Cambridge, MA office. You can put a ship in a state of distress and watch the reaction of the near by entities. Attack a destroyer and watch it fight back, or shoot down an opposing force aircraft. Viewer – The VR-Vantage Viewer lets you see in 3D what’s going on inside the simulation scenario. The scenes you see in the online Training System Demonstrator are being rendered by VR-Vantage IG hosted in our Cambridge, MA office and served to the VR-Vantage Viewer on your browser. Multiple people all over the world can be observing this simulation at the same time. Try it with two devices. It works on phones, too. Controller – The VR-Vantage Controller lets you move around the eyepoint used by the VR-Vantage Viewer. This is another example of making purpose-built applications to simplify a single function. Extracting information from your simulation systems and visualizing it in a browser. Creating simulation activity in the form of entities and interactions that you can add to a simulation federation. Remotely controlling simulation assets from a browser. These applications focus on each of the core technical capabilities and provide a foundation for making your own custom web-apps. Read entity information from the simulation network – The Diagnostic Message Inspector listens to the WebLVC messages coming from the WebLVC Server and displays their content as text on the browser. Use this app as a starting point in your WebLVC education. Plot simulation entities on a map – The Simple Listener listens to the WebLVC connection and displays each entity as a symbol on an OpenLayers map. Web applications can get map data from public sites on the internet or from VR-TheWorld Server either publicly or hosted on your internal network. Control the simulation execution – Instructor presents a simple VCR like control to Play/Pause/Rewind the scenario running in VR-Forces. Learn how to use WebLVC to send simulation control messages to VR-Forces or you own simulation assets. 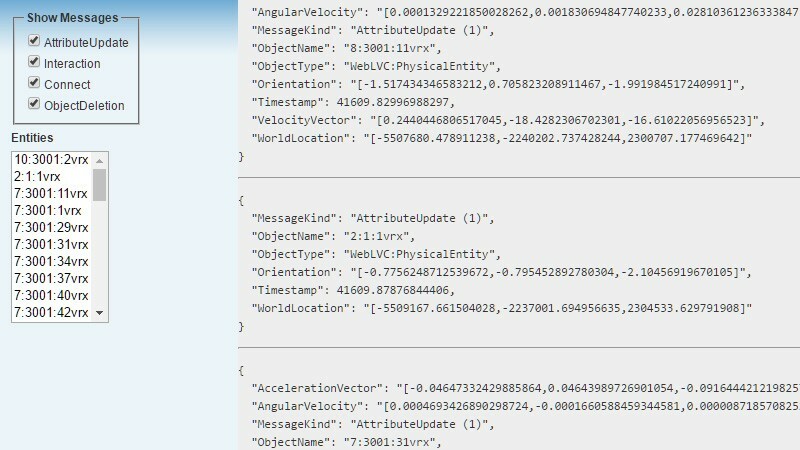 Add an interaction to the simulation network – Detonate Now shows you how to add a detonation interaction to a simulation network using WebLVC. It presents a simple GUI to let you select the type of ordinance then just click on the map to produce a detonation at that location immediately. All distributed simulated entities will respond to these detonations, compute their damage, and change their state accordingly. If all the entities are destroyed, use the VR-Forces Control to rewind the simulation and have a fresh set of targets. Add an entity to the simulation network – Simple Publisher shows you how to use WebLVC to publish an entity that is simulated in the browser. Our simulation is very simple; the jet just flies in a circle. In our app you can only re-position the entity, but its a lesson in using WebLVC to publish an entity. Control entities simulated by another simulator – Close Air Support (CAS) allows you to call for close air support using a standard 9-line interface. 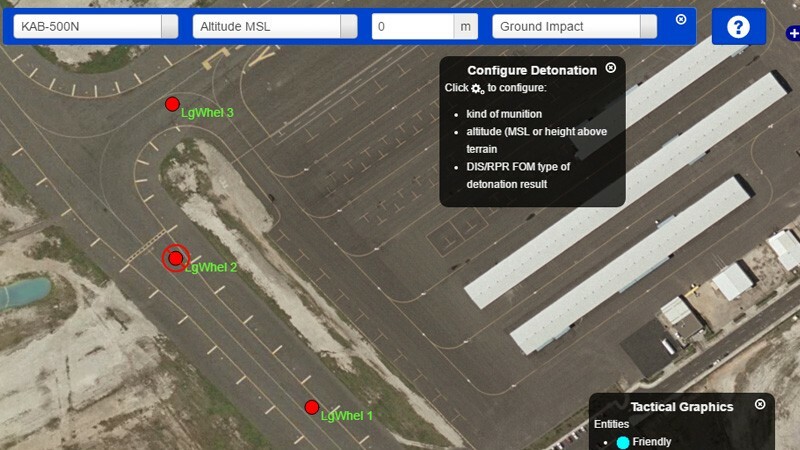 Click fields in the 9-line form to fill in values; interact with the map to select an aircraft to execute the strike and to select locations for initial point, target point, etc. The simulation is performed by VR-Forces. When you call for CAS, you are tasking a VR-Forces entity to fly to the target through the initial point, drop a bomb, and continue towards the egress heading. We also provide some more fully functioning applications. These use the lessons learned to bring together listening to the WebLVC messages, displaying the entities on maps, controlling simulation entities, and using streaming video to provide training interfaces for particular tasks. We will be adding apps to this section as use cases are developed. we’d love to add your use case if you are ready to get started. If you need a little help, we are running a promotion to help you get started. We all benefit by advancing the state of our simulation industry. Let us help you. UAS Role Player Station – this app is designed to be used in a full-screen browser on a PC as a training station. With it, you can select which UAV to control, select waypoints to fly to from the mission list or from the map. You can control the sensors pointing angle by left-clicking and dragging in the sensor view. And you can change the sensor mode between Day TV, night vision, white-hot and black-hot IR. Close Air Support (CAS) – this app allows you to call for close air support using a standard 9-line interface. Click fields in the 9-line form to fill in values; interact with the map to select an aircraft to execute the strike and to select locations for initial point, target point, etc. The simulation is performed by VR-Forces. When you call for CAS, you are tasking a VR-Forces entity to fly to the target through the initial point, drop a bomb, and continue towards the egress heading.